Chef Michael Deg’s focus on quality rather than quantity is apparent in his small à la carte menu with 6 starters, 6 mains and 6 desserts, for lunch and dinner. Michael likes to change 1 or 2 dishes on the menu every week to ensure the menu keeps evolving with the seasons. His aim is for vegetarians and vegans to feel appreciated at Cavalli . Cavalli now has two tasting menus available for dinner - both are 8 courses, with one of them completely vegetarian. As the first Green-star rated restaurant in the South Africa, Cavalli treasures and celebrates the beauty of natural heritage. The cuisine manifesto is hinged on local sustainable ingredients and the estate partners with local, like-minded producers to source produce of the highest quality. Head Chef Michael Deg believes in serving delicious, fresh, whole foods prepared in a way the honours the seasons – and he and his team forage daily in the heirloom vegetable garden. 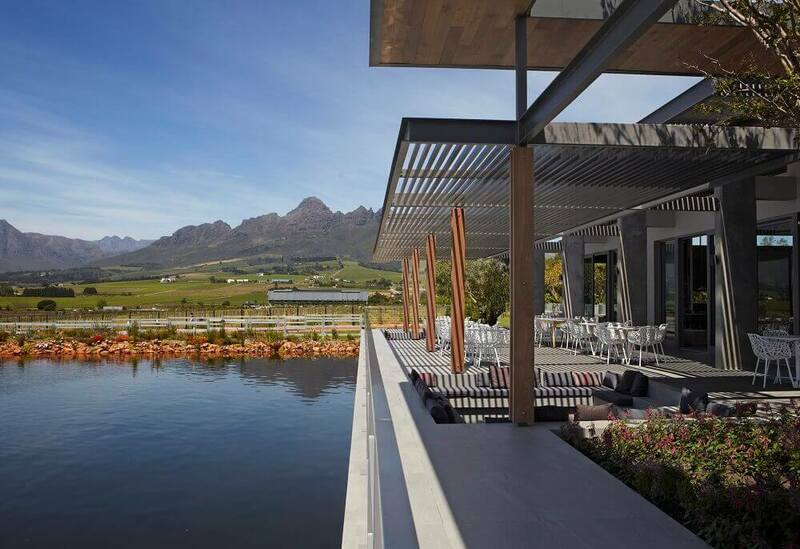 The Conservatory is an intimate , glass-enclosed private dining room right on the waters edge overlooking the Helderberg mountains. Accommodating up to 70 guests, the space is Ideal for birthdays, baby showers, meetings or intimate weddings. Choose from a selection of menus, tailored to suit every budget. Please click on our reservations link above to book online or call our reservations team between 8am and 5pm Monday to Friday. Note that For tables of 6 or more a deposit of R100.00 pp is required to secure the reservation. We do our best to accommodate seating requests however these cannot be guaranteed.